Home / Arts / Behind Every Great Man….. The first of my summer reading list has finally come in…..I guess I am just like everyone else I want to read the newest and most popular books. 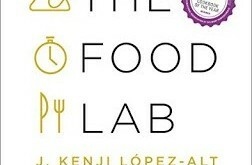 While I must admit I lean more towards fiction I do read the occasional non-fiction. 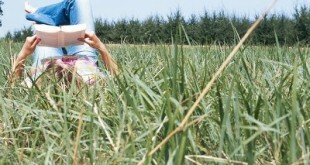 I went through a period of time in my teen years reading only biographies. At that time I read mostly about old Hollywood stars, like Mae West, Charlie Chaplain, etc. 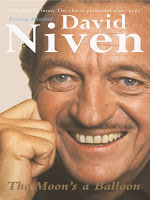 My favorites to read were the books by David Niven. I was totally in love with this “older man” just based on his biographies. I don’t think I had seen any of his movies until I read his books. But I digress from the theme of this blog. With the book that I am currently reading, which I will discuss later, combined with Jack Layton’s death, I began thinking about what makes a man a “great man” (or woman as the case maybe) and about the saying “Behind every great man is a great woman”. Thus, a blog post about the spouses in the shadows of some of the world’s powerful figures. She is a woman who is fascinating on her own terms, even though she is the mother Barack Obama. A Singular Woman: the untold story of Barack Obama’s mother by Janny Scott is a truly interesting read. The fact that she is the mother of perhaps the “most powerful man in the world” is just a minor part of her life. Stanley Ann Dunham fell in love with a Kenyan student (Obama’s father) at a period of time that interracial relationships were illegal. She became pregnant in 1960 at the age of 17. After their divorce she then married an Indonesian, had another child and lived most of her adult life in Indonesia. She became an anthropologist, a development consultant and early figure in micro finance. This singular woman left her mark both in America and Asia. She died at the age of 52 and it makes me wonder what the world would have been like if she was still alive. And what influence she would have on the president? Margaret Trudeau….oh, Maggie! What can you say about this woman who is the daughter, wife and mother of politicians. It does seem that she is a product of the era she grew up in; the 60’s. Maggie met Pierre Elliot Trudeau when she was an18 year old “flower child” and there was a 30 year age difference. Can you imagine if Pierre had married Barbra Streisand instead ? Whether it was partying with the Rolling Stones, or greeting officials Maggie was there in her full glory. Margaret Trudeau is a woman that doesn’t have just one biography but three! They are Beyond Reason (1979), Consequences (1982), and Changing my Mind (2010). Is there a fourth to come? Only time will tell. One political wife I have always admired, even more than her husband, is Eleanor Roosevelt. 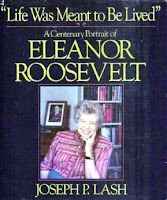 There is even a series of mysteries, the Eleanor Roosevelt mysteries by Elliot Roosevelt that feature this great lady. There are 20 entries in the HRL catalogue for nonfiction biographies for her. The one that interested me the most was Life was Meant to be Lived : a centenary portrait of Eleanor Roosevelt by Joseph Lane and her auto-biography This I Remember. Wife of Franklin Delano Roosevelt, she was the first Lady of the United States from 1933-1945. She was a staunch supporter for civil liberties and in 1999 made the top ten of Gallup’s list of Most Widely Admired People of the 20th Century. When most people hear the name Lindbergh they think of Charles. His wife was an amazing woman in her own right. Anne Morrow Lindbergh was a pioneering American aviator and author. In 1930 she became the first American woman to earn a first class glider pilot’s licence. Unfortunately most people got to know the couple through the kidnapping of their son in 1932. Anne wrote of the couple’s life in more than a dozen books, the last one being War Within and without; which won a Christopher Award. Unfortunately HRL only has this in talking book form. Her son, Reeve Lindbergh, wrote a book of her last years entitled No More Words: a journal of my mother, Anne Morrow Lindbergh. So no matter who you are remember you could be either the power behind a greatest.